Manchester United manager Jose Mourinho reportedly urged club chiefs not to do a deal for Cristiano Ronaldo before he ended up sealing his transfer to Juventus. The Portugal international left Real Madrid this summer and Woodward was willing to pay big to bring him back to Old Trafford, though the Daily Mirror claim Mourinho insisted paying £90million for him would not be worth it. 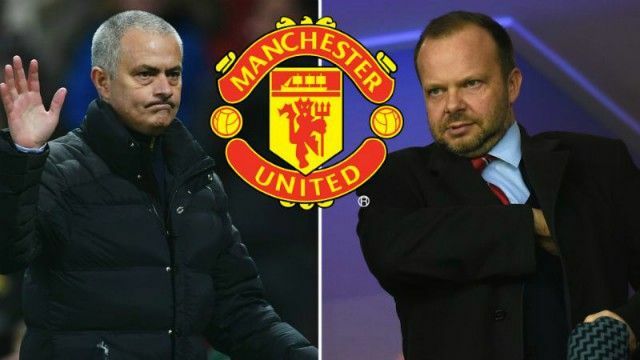 The report adds that Mourinho wanted that money to be spent on a new centre-back instead, though none ever came, leaving the Red Devils boss furious. Ronaldo was a big hit at United earlier in his career and re-signing him would surely have been a popular move, even if he is now 33 years of age and surely heading into decline. Despite another prolific season at the Bernabeu last term, and another Champions League victory, Ronaldo has started slowly at Juventus, perhaps proving Mourinho right. Then again, you’d never write Ronaldo off, so fans will likely not be best pleased at hearing this latest transfer disagreement between Woodward and their manager. In fairness to Mourinho, United do look short in defence, so it’s baffling that Woodward was willing to sanction spending that much on another forward but not on strengthening an area of weakness in the squad.